Q3. Look at the political landscape in Cebu. Do you see major changes three years from now when your party will have another crack at the seat of power in the Province? The LP enjoys the edge on national resources but they say President Aquino is not the sort of politician who’ll use them to gain political control in LGUs. So far, no major initiative has been made by LP to strengthen its mass base and corps of leaders in towns and component cities. Or are things being done without publicity? A. If there is anything I have learned from recent events, it is that anything can happen. Prior to his mother’s death, who would have had the craziest idea that Noynoy could be president of the Philippines? And by a hair’s breadth we almost had this change in the power structure of the province in the last elections. Three months before the elections that seemed impossible. But on another note I must say it is difficult to see power shift to the LPs at the local level in the next three years if many of us are not willing to mend our political differences. As of now we are waiting for the national leadership to take the initiative. Q4. Your clan is among the political families that have kept power in their respective turfs or enclaves for several years. The dynasty issue must have been raised in the last campaign. Did it have any impact on the election results in Bogo? Is it already a dead issue? A. The problem is the law has no clear definition of what dynasty really means. So for the purpose of banning family members from running in electoral exercises it certainly is a dead issue for now. Some use it though as campaign tool but its funny how they use it against their opponents while conveniently forgetting their own candidacies are stark displays of desires to make local government a family affair. 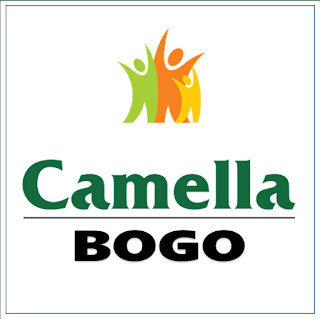 As far as Bogo positions in the last elections are concerned it is really difficult to determine the direction of the issue’s impact: on my family or on some other family. It depends on which side of the river you’re standing. Q4a. How do you classify yourself as a politician and as a manager of a local government unit? Have you been open to new ideas in politics and governance or have you stuck to the old ways of running things because they work? A. As manager of local government unit I believe in the judicious use of local resources, whether human or material. I believe in accountability; in the delegation of authority; as well as in the sharing of responsibilities. I pay attention to the ideas of others although I may have to pay for the consequences of listening to them. As politician the last statement pretty much applies. But I am the type who say what I mean and mean what I say. If I support a political ally I support him with all the resources and enthusiasm at my command. Years ago, it was my solid support that made Congressman Pablo Garcia a governor when many of his allies, for one reason or another, deserted him came election time. It was the votes in my district that brought him victory. I am open to new ideas in politics as well as governance. Indeed, I have been a staunch advocate of dividing the province of Cebu for more effective governance – a stand highly unpopular at the time but consistent with my ideas on decentralization and devolution which are actually the spirits that underlay the Local Government Code of 1991. For that I have been lashed, crucified and buried. But I feel quite vindicated that no less than His Eminence Ricardo Cardinal Vidal has discovered wisdom in chopping a huge area of governance into manageable sizes. The current proposed division of the diocese of Cebu into two finds astonishing similarity to my past advocacy. He had stated in the past that dividing Cebu was evil. I believe the descent of some spirit has made him reconsider his position which is remarkably parallel to my own. I hope he succeeds where I failed.